At Outsider, we have never been big fans of fad diets. Perhaps that’s down to the fact that we aren’t chasing ‘ideal’ body shapes or weights. Instead we place our focus on ensuring that our bodies are fit enough and adequately fuelled to get us up that mountain, down a ski slope or to the end of a long bike ride. Instead of going hell for leather on a particular diet, we look at smaller daily changes we can make to our diet that will have a positive impact on our bodies, minds and even the environment around us. 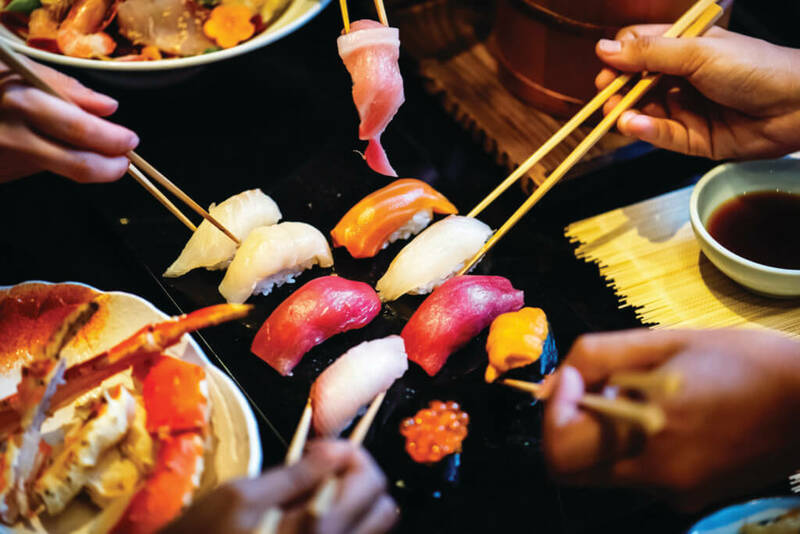 Here we look at some of the things we’ve been focussing on lately and some of the Just Eat dishes that allow us to make good food choices on those days when our hectic schedules dictate that we’ll order our lunch to the office or we’ll order in a nice dinner. The benefits of Omega 3 have been studied at length and are well documented. Omega 3 can help the fight against depression and anxiety, improve eye health, promote brain health during pregnancy and early life, and mitigate against the risk factors associated with heart disease. It also fights inflammation, can alleviate asthma in children and so much more. In other words, it’s a good idea to make sure you get lots of Omega 3 in your diet. Oily fish is one of the best sources of Omega 3, so including this in your diet at least once a week will have a significant impact on your overall health. • Baked Flaked Salmon on a Miso kale slaw with carrots & apple – Cocu, Dublin. • Salmon Sashimi from Maki Sushi Rolls, Cork. • Tuna Nigiri – Kyoto Sushi & Noodles, Limerick. This is especially important for vegans and vegetarians. Proteins are the main building blocks of your body, used to make muscles, tendons, organs and skin, as well as enzymes, hormones, neurotransmitters and various tiny molecules that serve many important functions. Without protein, life as you know it would not be possible. Proteins are made out of smaller molecules called amino acids. Some of these amino acids can be produced by your body, while you get others through your diet. The latter are called essential amino acids. Generally speaking, animal protein provides all essential amino acids in the right ratio for you to make full use of them. If you’re eating animal products like meat, fish, eggs, or dairy every day, it’s likely that you are doing pretty well on the protein front. This means that vegans and vegetarians need to put in a little extra effort to make sure their protein intake is what it should be. Tofu, beans, lentils, spirulina, chickpeas and quinoa are all great sources of meat-free protein. 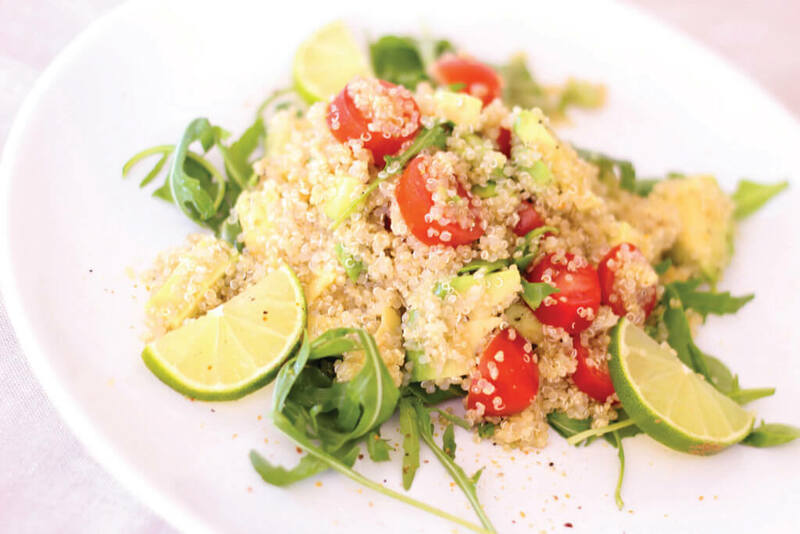 • Vegan Body Builder salad – Chopped, Dublin, Cork and Galway. • Chickpea and peanut butter burger – Box Burger, Co Wicklow. 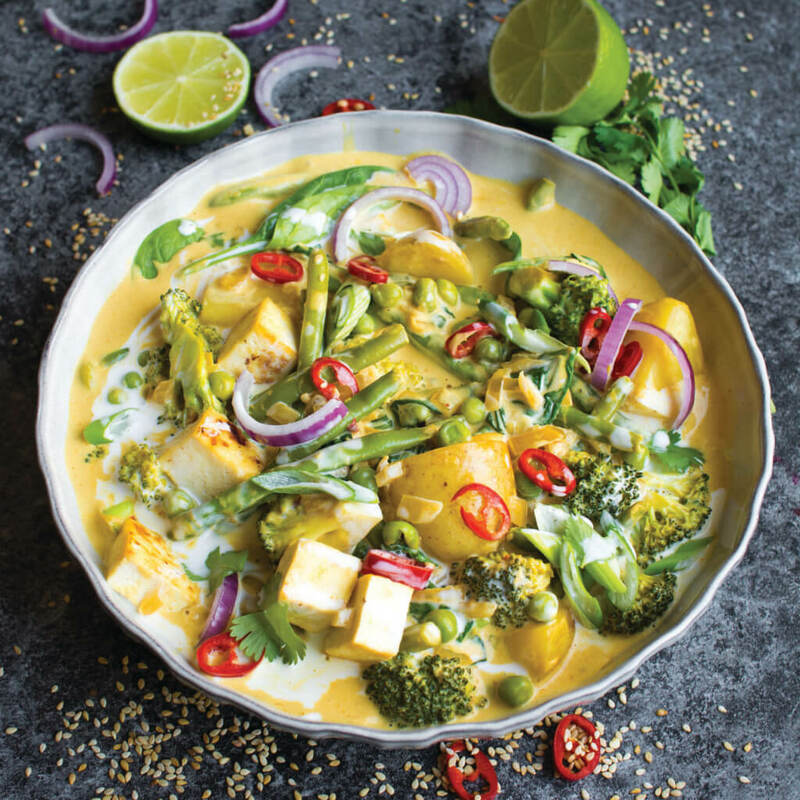 • Veg and Tofu Green Curry – Saba to Go, Dublin. Meat production is a leading cause of climate change, water depletion, soil erosion and most other environmental problems, according to United Nations scientists. You might think one day a week won’t make much difference, but every little helps. If 10 million people substituted one of their meat-based meals just once, it would save 13 million tonnes of water. We know that the idea of a meat-free meal for many seems impossible. However, with the array of delicious meat-free options on offer these days, we bet you’ll start looking forward to your meat-free day in no time. • Yasai Samla Curry – Wagamama, Dublin. • Sweet potato or chickpea curry – Tadka House, Dublin. • Vegan korma, veg broth, three-bean chilli – Staple Foods, Dublin. Most of us have been instructed by our doctor at some point in time to increase our fibre intake. Found mainly in fruits, vegetables, whole grains and legumes, fibre is probably best known for its ability to prevent or relieve constipation. But foods containing fibre can provide other health benefits as well, such as helping to maintain a healthy weight and lowering your risk of diabetes, heart disease and some types of cancer. Increasing fibre in your diet shouldn’t be a chore. Switching to whole grain breads and pastas, including beans, peas and lentils in your diet and making an effort to eat more fruit and veg every day will make a huge difference. 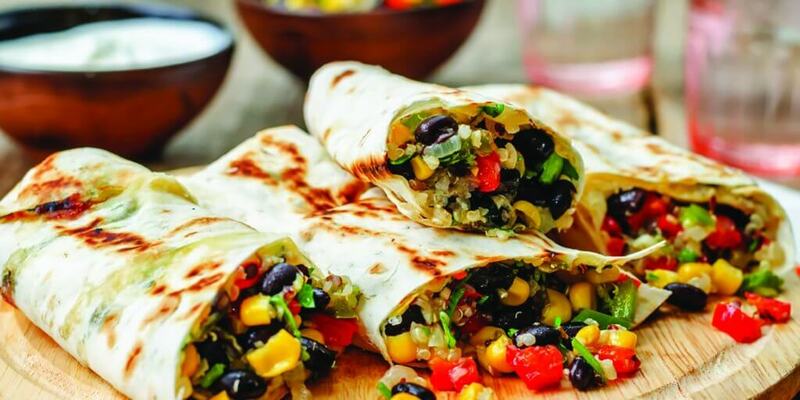 • Burrito with brown rice – Tolteca, Dublin and Galway & Zambrero, Dublin and Cork. We are strong believers in balance. And that means treating yourself from time to time. There are few things more relaxing than an evening in front of the telly, munching on delicious pizza with a glass of wine in hand. 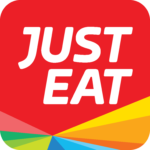 However, if pizzas are not your thing, fear not as Just Eat has every cuisine covered to suit whatever craving strikes. Whether you are after a succulent burger, wood fired pizza or sushi platter, they’ve got you covered. • Thai – Camile, Dublin, Cork and Limerick. 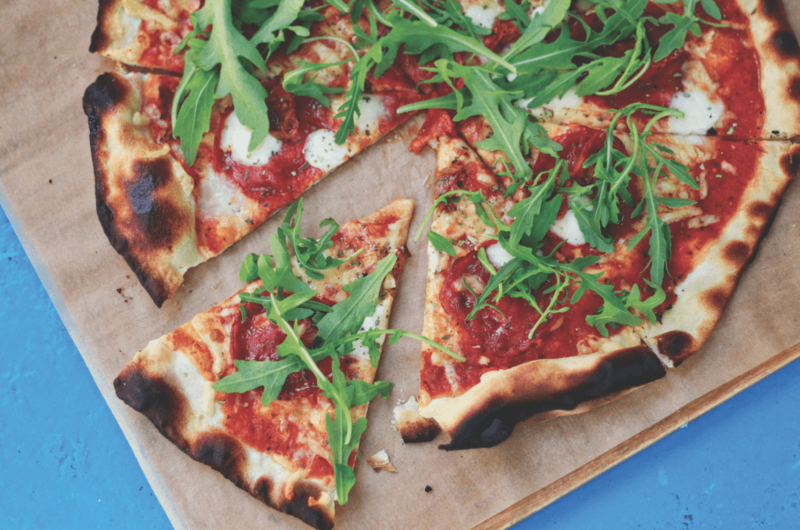 • Pizza – Pizza Yard, Dublin; Firehouse Pizza, Dublin & Crust Bucket Pizza, Galway. • Indian – Bombay Pantry, Dublin.